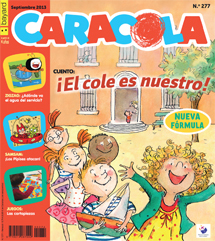 French (and Spanish) Children's Magazines Available in the U.S.
Popi (ages 0-3) features short stories with familiar characters, a fold-out scene, and nursery rhymes. Pomme d'Api (ages 3-7) features stories, answers to children's questions, crafts, and games. Histoires pour les petits (ages 2-6) focuses on stories and includes an audio CD with every other issue. J'aime lire (ages 7-10) features a chapter story as well as literacy-oriented games and puzzles. Okapi (ages 10-15) covers topics of preteen interest, from current events to culture, and is published twice monthly. Fleurus Presse publishes a dozen children's magazines that are less well-known than those listed above but may be just as well-liked. Their parent company, OpenGate Capital, also owns Disney Hachette (publisher of Disney magazines in French). My local library offers Spanish versions of Bayard magazines but not the French versions--we simply don't have enough demand for them here. I've searched for French children's magazines published in Canada but have not had any success. Which magazines did you enjoy as a child? Do your children have a favorite magazine?